African Movie Channel Series (AMC Series) is a premium African entertainment channel showcasing the best and award-winning TV soaps, comedy and drama from Nigeria, peppered with some of the best series from all over Africa, 24 hours a day for the whole family. AMC Series is dedicated to broadcasting 24 hours of English language locally produced prime African TV series. The channel is unique as it exhibits African television series that is reflective of, and sensitive to the cultural heritage and modern lifestyle of its audience. New series are introduced at least once every three months, so there is always a carefully curated balance of modern and popular traditional programming. AMC Series is for all the family. 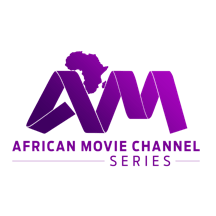 AMC Series is a sister channel to the hugely popular African Movie Channel, and together, both channels provide the full package of unrivalled top-tier Nollywood and African TV programming.